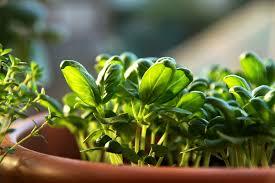 Start Your Own Herb Garden with Mulch 1st! Name: Start Your Own Herb Garden with Mulch 1st! Pick 6 herbs to get your garden started! Come join us at Mulch 1st, Thursday, April 11th from 6-8 pm to get your Herb Garden started this Spring! These patio pods would make a fantastic Easter gift, or make the perfect addition to your own patio. We will provide all of the materials that you could need, you just have to come and enjoy! Feel free to bring your favorite beverage (adult drinks are fine!) of choice, and we will have light refreshments available as well. Your registration fee will pay for everything! & A great evening spent with your Mulch 1st crew!